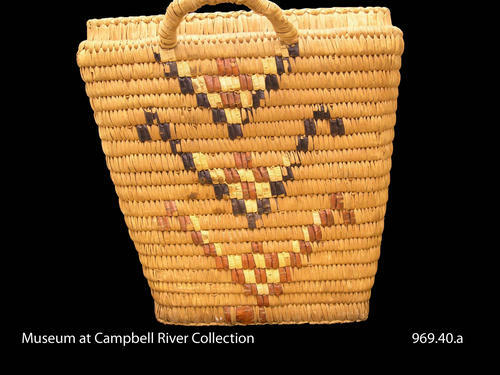 Basket belonged to a member of the Thulin family, long time residents of the Campbell River area. 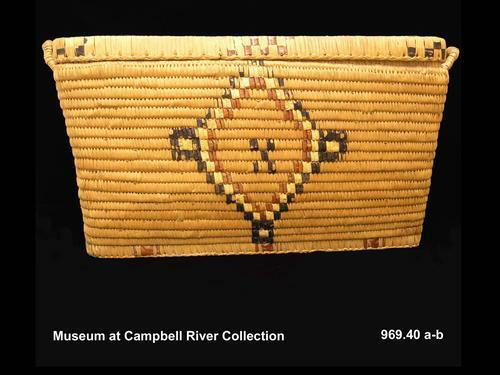 It is likely that it was obtained locally in the Campbell River area. 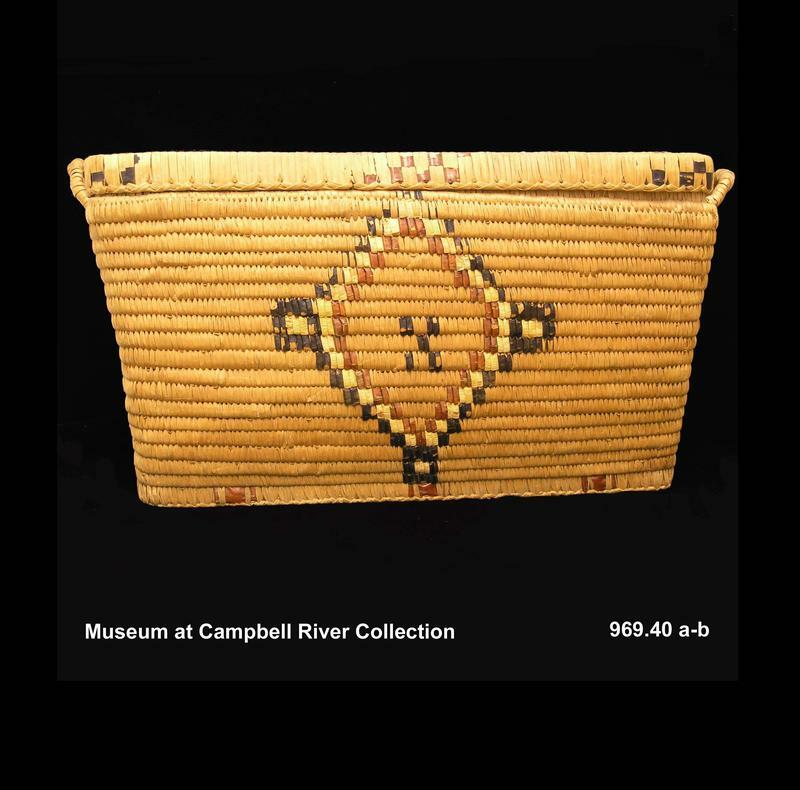 One Northern Coast Salish coiled rectangular basket with lid. 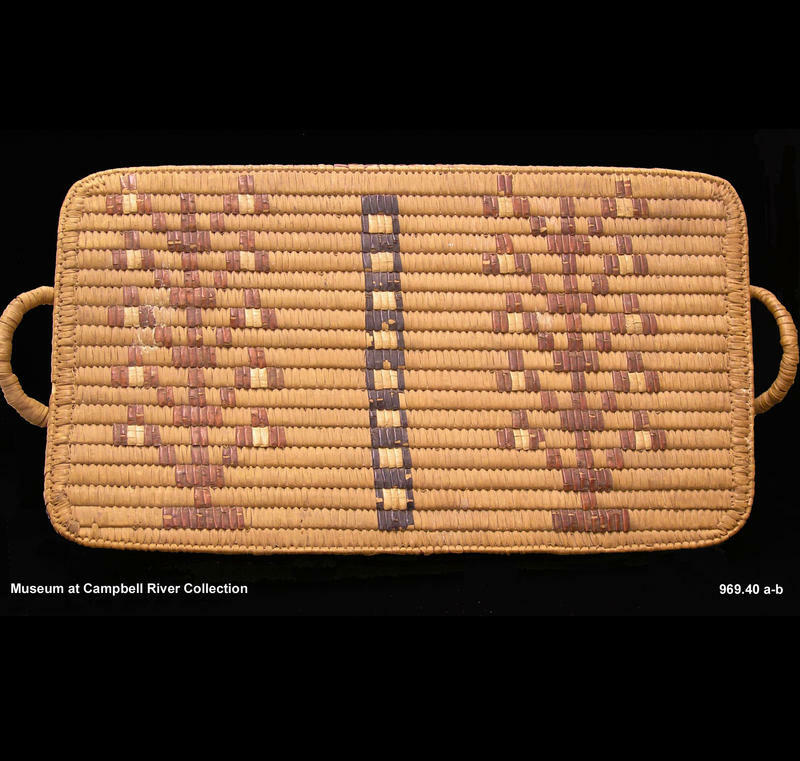 Basket has rectangular base 7 slats wide. Row of bundle coil around base. Base is recessed. Top slat of basket is inset. Two handles at top ends of basket-bundle coil (string core, 3 strands) appears on inside of basket between ends of handles. Cover fits over top and is then smooth with rest of the basket. 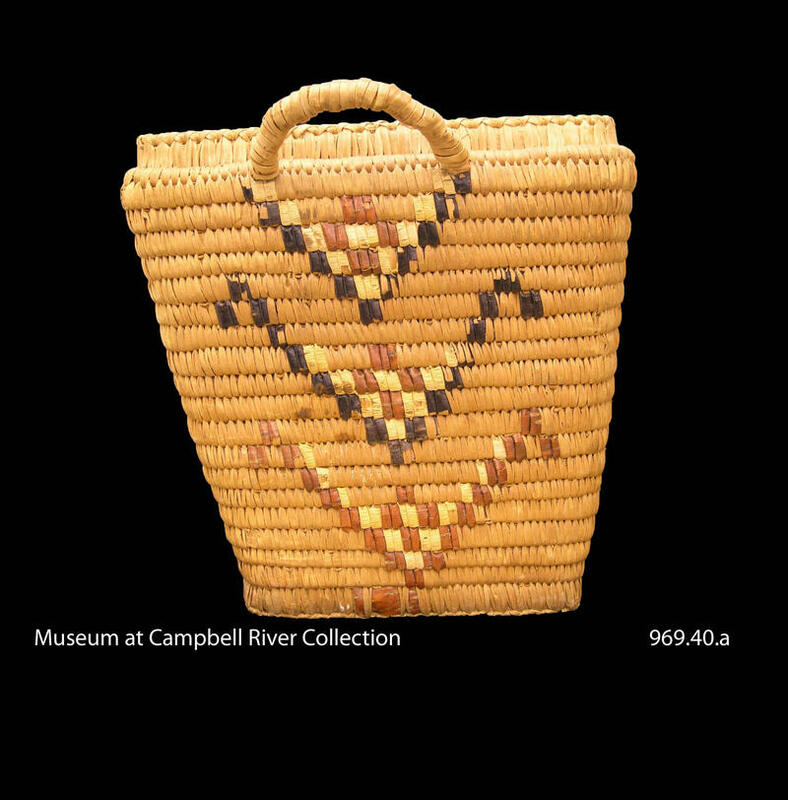 Basket motif has a large diamond shaped imbricated design on each side of basket, red, white and black with black squares at points of diamond. In center of diamond a flower design in red on one side, black on other. On ends are three V-shaped designs filled with flowers shaped; top two are black V's with white liner and red flowers. Bottom V is red. Red beading in 8 locations around base. Lid has Imbricated design on top, beading on side of lid. Across the center of the top is a black ladder with 3 stitches of white filling the spaces. There is a tree (?) 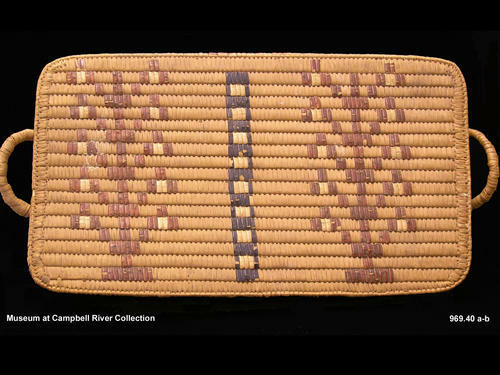 design imbricated in red across both sides of the lid, 5 branches each side of each tree, with 2 white stitches at the end of each branch. There are 2 rows of black beading at the corners, 2 rows of red at the center of the long sides.